Samantha is the most successful one in the new generation actresses. She just has the golden hand. Samantha is the epitome of beauty with brains. She has been in the industry for 7 years now and even for once, she has not lost her glory. Ruling the roost, she is still the most sought after girl. So on account of her birthday here are some things which we envy her for but still feel delighted about. 1. The NGO and Social Service Who? We mean who genuinely does these things? A star not having other business plans and helping out people? Come on! She and along with her doctor friend, Dr. Manjula Anagani have started the Prathyusha Support Foundation, a support organization for women and children suffering health ailments. After her severe illness, Samantha has started this foundation in 2012 to give something good back to the society. She donates her earnings from endorsements, product inaugurals and events to support this foundation. 2. Fashion Goals Coming from a normal middle class Christian family from Chennai, Samantha gives all the “posh women” serious fashion goals! There is no need for a glittery glam attire for her, she rocks it even in simple saree. Example, the first shot from ‘Ye maaya chesave’. Or if a galm doll look is a consideration, beat this then! She has the typical South Indian girl look. And yes that’s her forte! Also she is being elected as brand ambassador for Handloom in Telangana State. That’s another feather in her cap. 3. 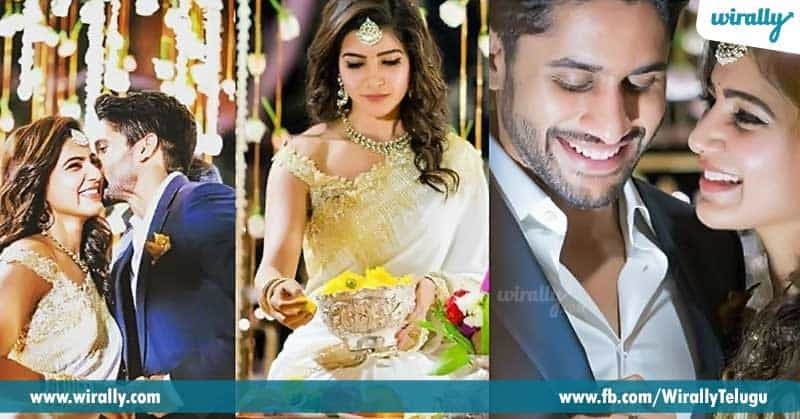 Cutest Couple “Anthamandhi heroes’ undaga, Naga Chaitanya ne love chesava Samantha!” First couple to have a movie first and then convert it to their reality. And how! How can they be so cute, so perfect to each other! Tagging him in her pics in the most beautiful situations, she is giving her contemporaries and all the young girls “The Perfect Couple” goals. Also being in the craziest and most influential Akkineni Family, she has the best support all together. 4. Career And finally, the undisputed queen of success. Debuting with a classic love story, “Ye Maaya chesave”, she did a mature yet confused girl’s role with ease. And then becoming the bubbly girlfriend in “Dookudu”, a crazy sister-in-law in “Atharintiki Daaredi”, a doting mom and wife in “Manam”, she has done it all. And now looking at her upcoming projects, there is no one to reach her as of now. The perfect career!